1) Your first mission's trip will always be a cornerstone for your love of traveling - whether good or bad. Not everyone can boast of having a great experience their first time on a mission's trip. The ones who do, frequently talk about it. 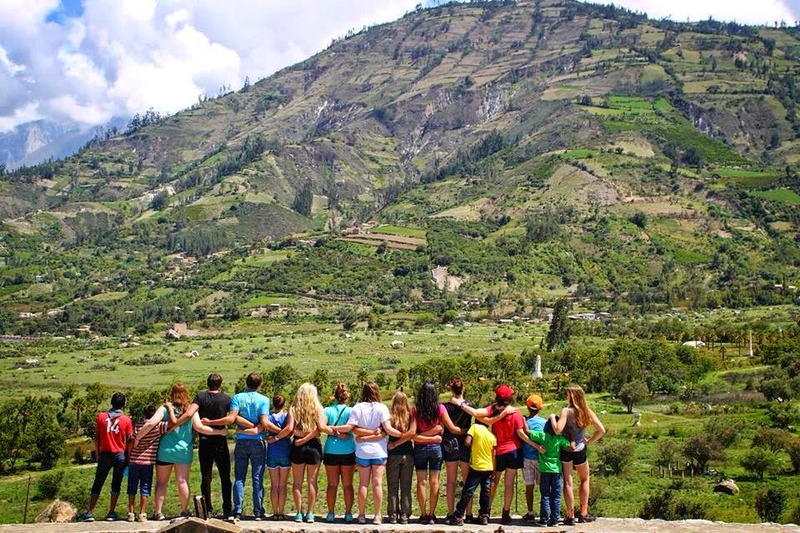 The ones who don't, share their experience in hopes of letting people know that mission trips aren't all rainbows and good times. 2) You love meeting people who do not know Jesus. You're like a magnet wanting to draw people of all races and religions to you, in hopes of sharing the Gospel with them. 3) You have a very different worldview. You think outside of just the specific place where you live. 4) You are fascinated by languages. This may only be one in every ten missionaries, but for me, personally, languages astound me. And I want to learn as many as I can. And go to as many countries as I can where I can practice the languages I learn. 5) You pray. A lot. Now this doesn't mean that missionaries pray 'more' than other Christians. But there's a certain significance that you place on praying. Maybe because you've seen, firsthand, the power of prayer - whether it be in regards to raising funds for your trip or in praying for someone to come to know the LORD. 6) You know that being a missionary isn't about lifestyle, not a 'job'. Being mission-minded, you know that it doesn't matter how many trips you've been on, how many orphans you've fed, how many wells you've dug, or how many homes you've built, if you aren't following God's command to share the Gospel, you are wasting everything - time and money. And with that always at the forefront of your mind, you are constantly looking for opportunities to share His love and reach as many humans as you can. You speak, He works. The task is not done. 7) You love meeting new people and building relationships. ...and this comes fairly easily. 8) You view others as fellow sojourners in a life-long journey. Whether they are Christians or not, the people in your life all have a future. And you encourage them in their dreams, their goals. And try to always push them to God. 9) You are excited to get others excited. God has used your mission trips to change you and impact you in numerous ways, and you want others to be affected the same way. You are eager (and sometimes, too constant) in sharing about your experiences with others and asking them to pray about maybe joining you on a trip sometime. 10) You are supportive of other missionaries. Before you actually experienced what it was like to go on a mission's trip, you really couldn't stand the people who were constantly begging asking for sponsorship. But now...you are one of those people. 11) There is always that one (or more) thing that you are always sure you pack. Whether it be your soft pillow, a favorite granola bar, or extra plastic bags. People may look at you funny but hey, you've done this before. You know the ropes. 12) You long to go back. Whether to the last place you went, or just on another trip. You are eager to serve and share. And are always on the lookout for new opportunities. 13) You have a new understanding of just how faithful God is, that He always provides, and He will give you peace and confirmations to go or not to go. This was such a great post, I can really relate to these. Especially numbers 4 & 12.